US personnel said “all aircraft were present and accounted for". New Delhi : The US personnel have put a question mark on PM Modi's assertion that India has downed one Pakistani F-16 fighter jet in a February 27 aerial battle. Foreign policy report claims that though the government has repeatedly said that Wing Commander Abhinandan Vardhaman’s Mig-21 shot down an F-16 before his own plane went down, there is no fighter jet missing in the count. 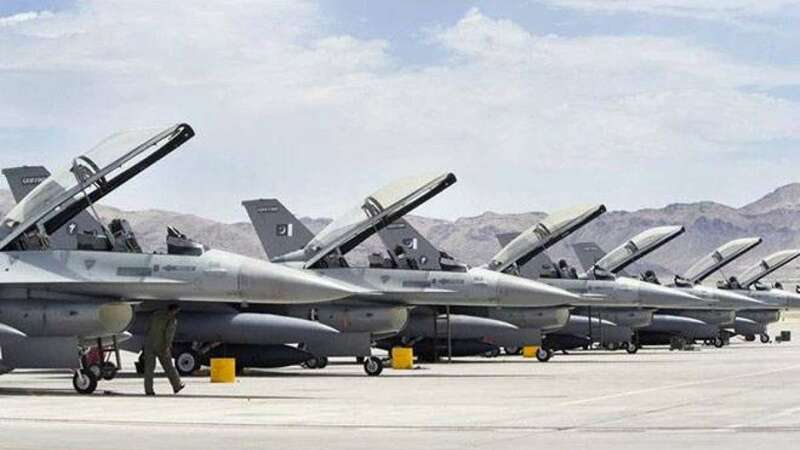 As per the Foreign Policy media report, a senior US defence official said that Pakistan had asked the US to take a physical inventory of the F-16 fighter jets. This was as per an end-user agreement signed when the foreign military sale was finalised. During the process the count took place in several weeks and officials said that many jets were not immediately available for inspection due to the conflict. But now that the US personnel have completed the count, “all aircraft were present and accounted for,” the official told the magazine. However, Pakistan’s military spokesman Major General Asif Ghafoor denied the fact and said that no F-16 had been deployed on that day. The Pakistani claim that no F-16s had been deployed was refuted by India, which presented fragments of an AMRAAM air-to-air missile that had been recovered on the Indian side of the Line of Control. The AMRAAM can only be used by F-16s. However, India was unable to present any physical evidence to back up its claim of having downed an F-16. News agency ANI has also quoted Indian Air Force sources as dismissing the central claim of the Foreign Policy article that a PAF F-16 aircraft was shot down. Reiterating that Flight Lieutentant Varthaman had shot down the aircraft, IAF sources volunteered new information that the F-16 was hit about 7-8 kilometres inside Pakistan occupied area in Sabzkot area. Further, they claimed that radio communication of Pakistan Air Force had been intercepted in which the speakers apparently stated that one of their F-16 aircraft had not yet returned to base. To sum up, Lara Seligman, a correspondent of Foreign Policy wrote that there is a possibility that Vardhaman may have gotten a lock on the Pakistani F-16 and fired before his own plane was shot down. In the heat of fight, he may have believed that he downed the Pakistani jet. However, a US inventory on the ground in Pakistan has not found any such planes missing, indicating that India may have misled the international community about the events of that day. To recall, the conflict between India and Pakistan raised in the wake of the 14 February suicide attack in Kashmir’s Pulwama region. On 26 February, India said it had bombed a terrorist training camp in Pakistan’s Balakot region in Khyber Paktunkhwa province. In retaliation, Pakistani fighter jets targeted Indian military installations in Kashmir on 27 February. India jumbled its fighter jets to ruin the attack and in the dogfight, an Indian Mig Bison aircraft was shot down and its pilot captured by Pakistan.